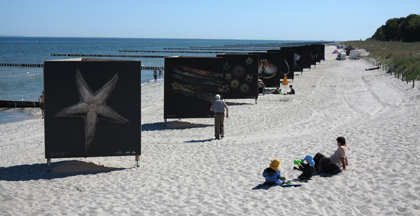 I am just back from the coast of The Baltic Sea in Zingst after teaching three lighting workshops for Sunbounce. 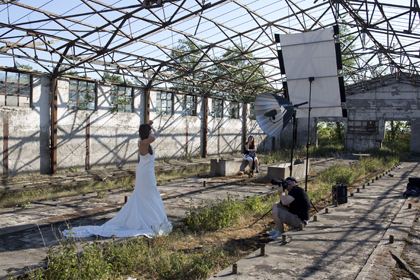 If you have not used these lighting tools, they are really amazing, sturdy and reliable. Each night there is a huge inflatable screen on the beach that features photography from that day and exhibits from the festival. 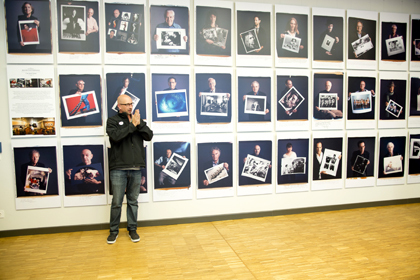 My Behind Photographs project was one of the featured festival exhibits. I was so impressed that this seaside town was able to put on such an inspirational event. One of my workshop images shown at the nightly show. 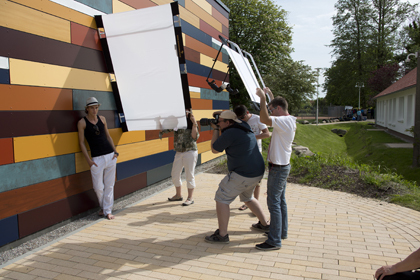 Martin Krolop at work with Broncolor and Sunbounce. Tim addresses the crowd at his exhibit opening. Sunbounce panels at work on the beach.